This event will last approximately 5 hours. 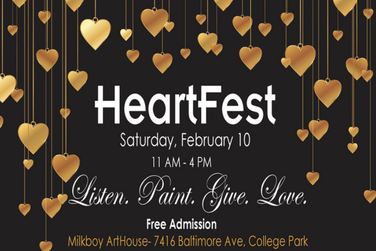 A Valentine’s experience for art lovers! Enjoy the smooth funk sounds of Damon Foreman while enjoying MilkBoy ArtHouse's food and drink. Create your own hand painted wine glasses. And if you’re still looking for that perfect gift, the Pop-up Shop presented by Brentwood Arts Exchange has everything you need all made by local artists.